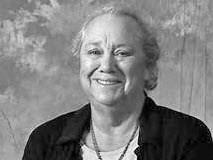 Word By Word Listeners are due for a special treat treat today, for Gil Mansergh’s guest is the celebrated local legend Gaye LeBaron in a conversation about her new book entitled: The Wonder Seekers of Fountaingrove which she co-wrote with Bart Casey. This amazing—-but-true—tale of Sonoma County’s premier mystical sexual cult, Fountaingrove, is the century-long saga of three men: New England prophet Thomas Lake Harris, British pilgrim Laurence Oliphant, and Japanese Samurai Kanaya Nagasawa. By the time LeBaron “semi-retired” in 2001, she had written more than 8,000 columns for the Santa Rosa Press Democrat and was considered “the most popular feature in the paper.” Her interview notes and research material are kept as the Gaye LeBaron Special Collection at the Sonoma State University Library. In addition to her new book, LeBaron co-authored two other books on local history: Santa Rosa: A Nineteenth Century Town, and Santa Rosa: A Twentieth Century Town. She also taught Sonoma County history at Santa Rosa Junior College and the Lifelong Learning Center at Sonoma State University, and appeared in two videos discussing Sonoma County history that aired on C-Span in 2015. LeBaron continues to share stories with Press Democrat readers in a column that appear two Sundays each month.